For some people, there’s nothing nicer than a spot of camping during the holidays, but have you any idea of the logistics involved in taking a few legionaries camping? If you thought building a stone wall (and turf-and-timber rampart) from coast to coast was bad, wait till you hear about Roman camping whilst you do it. In order to construct Hadrian’s Wall, and then the Vallum, and then the forts, the army needed somewhere to stay. This was provided by the temporary camp, something all soldiers built every night when on the march, when on campaign, or even for practice, when they had nothing better to do. The principle was simple: divide your force into groups, some of whom stood around and protected those actually building it, who then began by digging a ditch with mattocks and, using baskets to shift it, piling the resultant spoil within a double-faced wall of turves which they had already stripped, thereby forming a rampart. 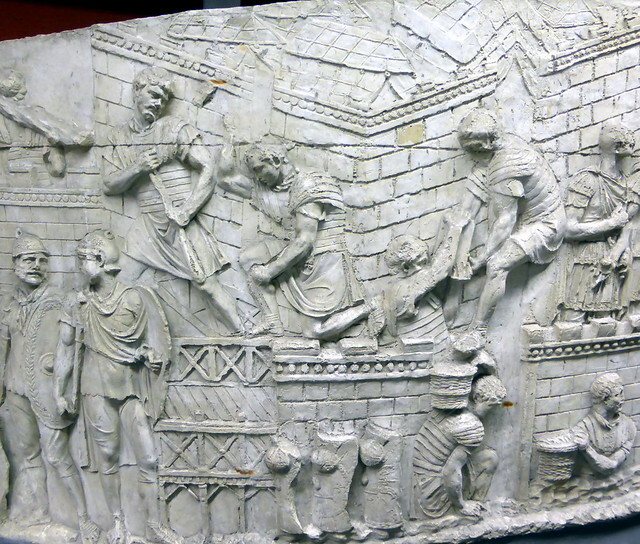 This activity is shown on Trajan’s Column, although the artists didn’t understand what was happening and depicted the turves as stone blocks. Vegetius makes clear there was one guiding principle: the greater the threat from the enemy, the deeper the ditch (and bigger the rampart). 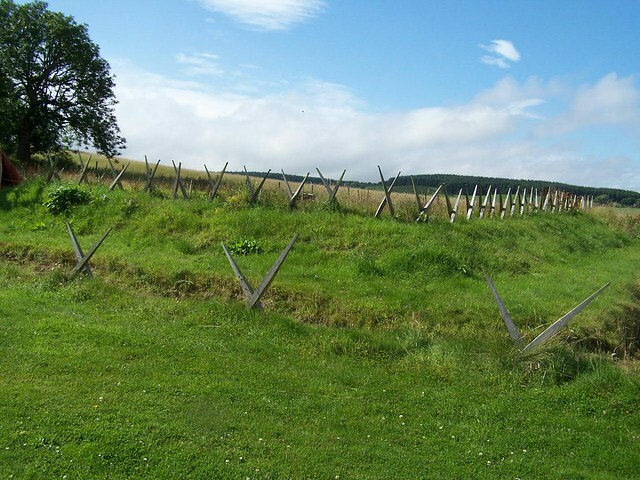 Camps had gaps in the defences, rather than gates, but these openings were protected by traverses (and guards, naturally) to deter attack by an enemy. To finish the whole thing off, obstacles were placed on the completed rampart. The soldiers needed somewhere to sleep in the field and for this they had tents made of sewn leather panels. These are also shown in use on the Column. Each tent took something like 77 goat hides and was intended to house a contubernium of eight men. Around Hadrian’s Wall, leather panels from tents are known from Birdoswald, Carlisle, and Vindolanda, the last site producing a couple of substantial chunks of tent with the panels still attached to each other. Tents were supported on a frame and held up with a system of guy ropes and tent pegs. Most tent reconstructions opt for seven ropes on either side, four bracers at the corner, and one at either end to support the ridge pole, so twenty in all. Of course, each guy rope needed a tent peg. Wooden pegs have been found in large numbers associated with actual examples of leather tent panels and were simply made to a form you can still buy today. Pegs from Ribchester (Lancs.) came in two main sizes, possibly matching the smaller tents of the men and the larger ones of their centurions. Now you may have seen iron pegs with rings in the top described as tent pegs in some books or museums. In fact, the Greek writer Polybius (a big fan of the Roman army) describes (fragment 95) pegs being used by the Celtiberians to tether horses. But that’s not the only reason they weren’t used as tent pegs. Each century needed 220 pegs; made out of wood, they would weigh only 11kg, but iron would be closer to 70kg. Rolled up, a contubernium tent looked like a pupa or chrysalis, so the soldiers called a tent papilio (butterfly). 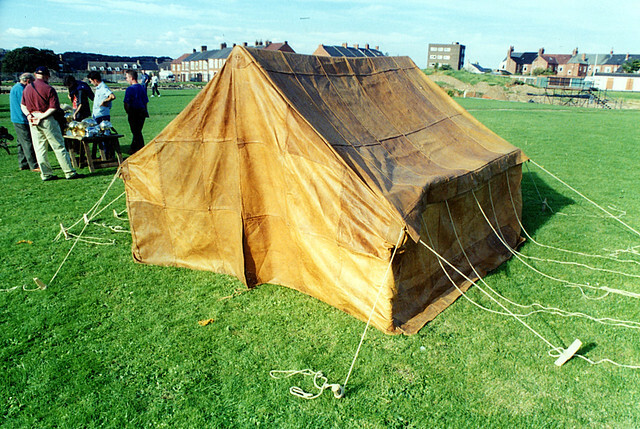 A modern goatskin reconstruction of the tent by the Ermine Street Guard was found to weigh 43.5kg which, despite waterproofing, could take on 8kg of water. Tents were transported by means of contubernium mules and each had to carry it, the tent-poles, the pegs (hence wooden ones being better), and probably a hand-mill too. In the field, the Roman army used clamp ovens to bake their bread. These resembled the ovens found around the ramparts of permanent bases, so to that extent provided similar facilities to what they were used to. Everybody likes to play the game of Can You Fit Eight Men In A Tent?, but since a proportion of any force was on duty at all times, the question never arose. It is harder to know whether a ground sheet was used or what the soldiers used for bedding (‘their cloaks’ is the usual suggestion) but they clearly coped. Camps were usually placed next to a water source, fresh water always being drawn off above the location of the inevitable latrine facilities. Don’t go away with the impression that camping was unusual for a Roman soldier. They knew two ways of life: a winter season in their hiberna, and a summer campaigning one in their aestiva. This was what the Roman army did and they did it well. After a hard day’s work building Hadrian’s Wall, the soldiers would have returned to their construction camp to eat and sleep. What could be more fun in a British summer?! Remember the builders of Hadrian’s Wall next time you go camping. You’ve got it easy by comparison. Although Corbridge began in the 1st century AD as a standard military site with an attendant civilian presence, in the 2nd century it evolved into a civil site with a small, yet significant, military presence. Moreover, despite the proximity of Hadrian’s Wall, Corbridge was always more concerned with a) the crossing of the Tyne by Dere Street; b) access to Caledonia via Dere Street; and finally c) the Stanegate itself. 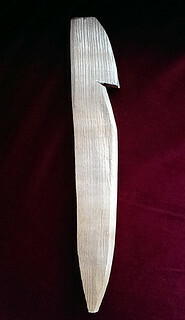 Consequently, these three factors need to be borne in mind when considering its inscriptions. The fact that a remote ecclesiastical site, Hexham, is a major source for inscriptions from the site reflects its proximity to Corbridge and the convenience of deriving worked stone from the Roman site. There is no guarantee that inscriptions from Hexham derive from Corbridge, but it is on balance more likely than any of the other nearby sites, such as Chesters, due to the monumental nature of both the architectural and textual contributions amongst the assemblage. Corbridge is one of the few sites in the Hadrian’s Wall region where history and archaeology collide head-on. This is a product of its strategic location – at the junction of the Stanegate and Dere Street, just by a major Tyne crossing – and the intensive campaign of excavation that began in 1906 and continued, with interruptions, until 1980. The religious dedications give us a good idea of just how cosmopolitan a place Corbridge was. The deities represented include Apollo Maponus (1120-2), Mercury (1123, 1133), Astarte (1124, in Greek), Diana (1126), Minerva (1134), Heracles of Tyre (1129, also in Greek), Jupiter (1130-1), Mars Ultor (1132), Panthea (1135), Silvanus (1136), Sol Invictus (1137), and Veteris (1139-41). More militarily derived deities include Concordia (1125), Discip(u)lina (1127-8), and Victoria (1136). Notable by their absence are Cocidius and Mithras. The presence of pairs of legionary detachments in the compounds south of the Stanegate is most poignantly indicated by that dedication to Concordia (‘harmony’) between the Sixth and Twentieth Legions, but it is difficult to interpret that in any other way than the most pessimistic and see it as indicative as extreme rivalry, if not outright conflict, between the two detachments. The various building inscriptions tell us something of what was happening to Corbridge as it developed from a turf and timber fort with a small associated civil settlement into a town with a legionary enclave. The Second Legion Augusta are seen rebuilding the stone granaries in AD 139–40 (1147–8), whilst a building inscription of AD 163–6 (1137) includes a (deleted) dedication to Sol Invictus by a detachment of the Sixth Legion, building under Calpurnius Agricola, possibly the occasion when construction of Site 11 began. The same legion is mentioned in other inscriptions (1159-63) and we know the Twentieth Legion constructed the ornamental fountain (Site 8) next to the granaries (1164) and they are recorded elsewhere (1165–7). The Second Legion Augusta is represented by a dedication on a statue base (1127) and a relief (1154) depicting their vexillus (sic), as well as on various building stones (1155–8). Severus’ northern campaign is reflected in an inscription set up by a praepositus in charge of granaries during ‘the Most Fortunate British Expedition’ (1143) and the construction of a granary by a legionary detachment (1151). We may also note in passing a building stone (1186) from a cohort (possibly the First) of Lingones (the First were at High Rochester in the Antonine period and Lanchester in the 3rd century). Finally, the tombstones reveal some of the inhabitants to us. From its days as a fort, the tombstone of Flavinus (1172) is a fine example of the Reiter type of relief, with a cavalryman of the ala Petriana riding down a cowering barbarian. The tombstone of Barathes, a standard bearer (vexillarius), often equated with the husband of Regina, recorded on a tombstone (RIB 1065) from South Shields. The stone of a lefionary of the Sixth Legion (1175) has heirs with distinctly eastern-sounding names, possibly reflecting a sojourn in the East during the Antonine period for that unit, perhaps also attested in the dedication to Sol Invictus (1137). The civil population is highlighted by three child tombstones from the site, one each of 6 (1182), 5 (1180), and 4 years old (1181), all little girls.